Regrouting tiles is a cakewalk. The method is easy, anyone can complete this task. Moreover, the tools and material required for regrouting are easily available. 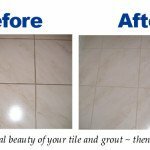 Regrouting removes the ugly gaps between tiles, eventually keep your investments beautiful. 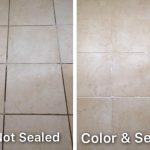 In this article, we’ll discuss how you can regrout the tiles. Before regrouting, first, remove the old grout and free the gaps from all the dirt and debris. Use a grout saw and completely remove the grout before regrouting. The colour of grout matters, using a different colour grout will look odd. If you’ve fixed the tiles yourself and the aligning is not accurate, use matching colour grout on tiles. It’ll hide the misaligned tiles formation. Using white grout will soon become black, thus a dark colour grout will be easy to maintain. There are two varieties of grout: Sanded and Unsanded Grout. If the gaps between the tiles are larger than 3 mm, sanded grout is used. While, unsanded grout is used to fill the crack, mainly joints. Mix the grout with water as per instructions on the package. Usually, the grout is slightly less thick than peanut butter. Make the perfect balance of water and grout to achieve the perfect base. Use a trowel to spread grout on the tiles. This trowel is a tool, which is used to apply something. Slowly apply grout in all the gaps, start grouting from the corner of the room and make way for yourself, so that you don’t have to step on freshly grouted gaps. After 15 to 20 minutes, when the grout is set. Use a soft cloth to clean the excess grout on the floor. Don’t wait too long or the grout will get dry, which become difficult to clean later. To dry the grout faster leave the fans on and area ventilated. Once the floor is completely dry, clean the floor thoroughly. Now your home is perfectly shiny for welcoming the guests. 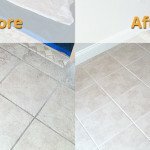 Fresh Tile Cleaning has been doing the Tile and Grout cleaning work for a long time. We are expertise in grouting, with better and efficient tools, we quickly complete the cleaning work with perfection.